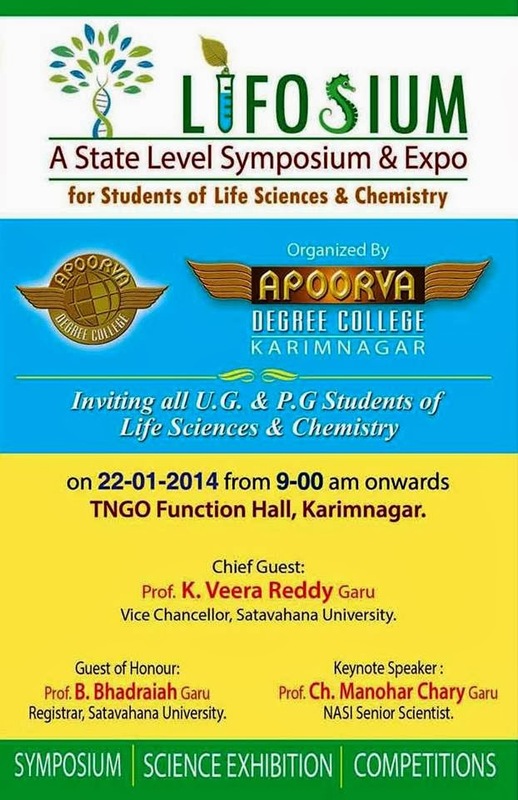 For the First Time In Karimnagar, A STATE LEVEL Symposium for UG & PG Level students of Life Sciences & Chemistry. 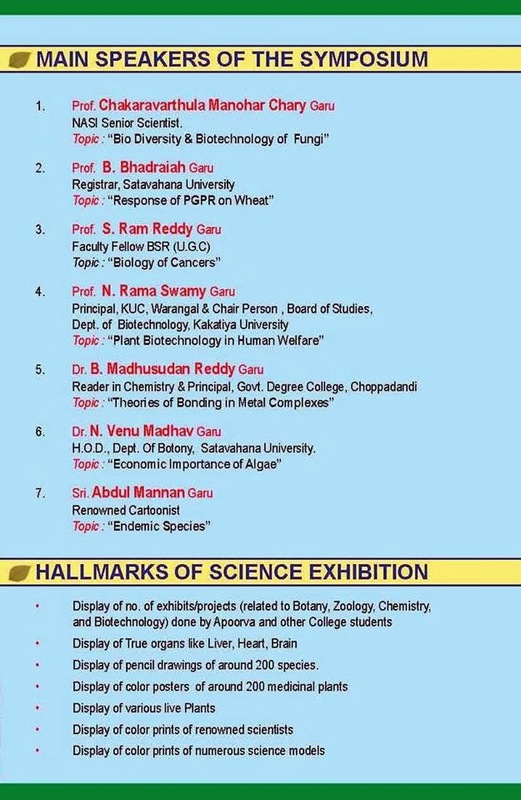 Don't Miss the Life time Opportunity to listen to Renowned Scientists and Professors. 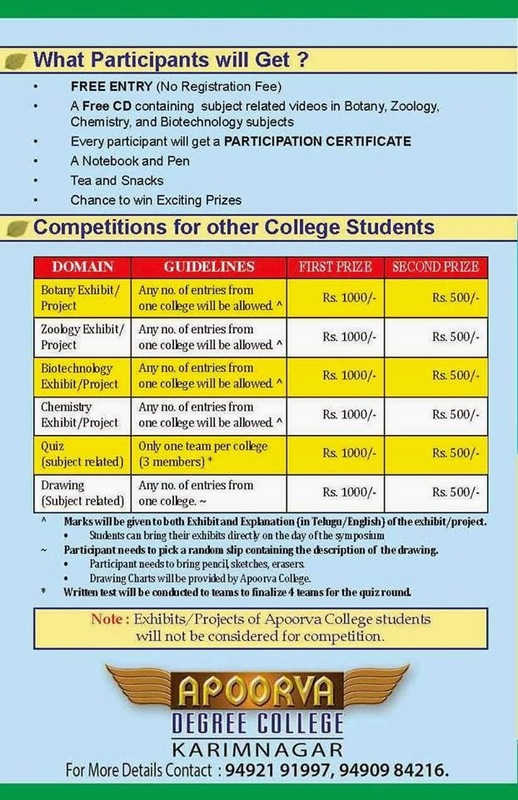 Inviting All UG & PG Students of Life Sciences & Chemistry.